Fortnite’s Season 7 with Christmas theme has officially started rolling out to iOS shortly after it was announced by Epic Games. The new update comes with a holiday theme, and includes new additions like a new vehicle, Christmas-themed gun wraps, snowy map and more. Epic Games has also added 60FPS support for the 2018 iPad Pro, putting the device’s A12X Bionic chip to use. As per Fortnite Season 7’s trailer, it all begins with an iceberg hitting the island where the Christmas spirit can be seen all around. A man, who looks a lot like a warrior Santa, appears on top of the island, along with creepy looking snowmen holding weapons. He directs planes to attack, implying the beginning of the game. The Fortnite Season 7 brings a lot of changes with it, like the addition of X-4 Stormwing planes and ziplines, making it easier for players to travel around the map. While there might be a lot of visual changes too, the biggest of them is that now a third of the map is covered in snow, which might make navigation a little difficult for players as many paths would be covered with snow. 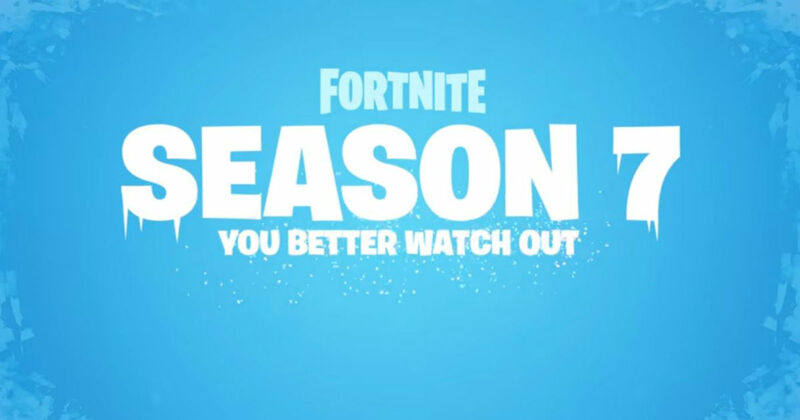 As reported earlier, Season 7 brings a new Creative Mode, which lets users customise maps and lets them play using maps made by other players too. With this mode, players will have unlimited time to simply play around and also save the changes they made, for later. Another thing which players get with this season is a new Battle Pass, which they can buy for around $10 (~Rs 700) to unlock additional rewards. Similar to every season, there are 100 new tiers to unlock this season too. A new addition this season is Wraps, which can be unlocked by players to customise their characters, weapons and vehicles.